Rye grass pollen extract comes from the pollen of rye grass (Secale cereale). Rye grass pollen extract may affect the male hormone testosterone, relax the muscles of the tube through which urine flows (urethra), and improve how well the bladder can force urine out. Rye grass pollen extract is a registered pharmaceutical product in Western Europe, Japan, Korea, and Argentina. 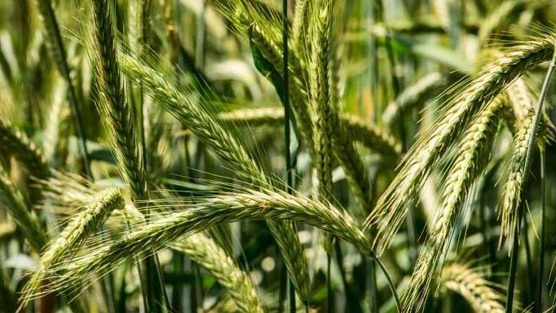 Pollen extract is a special mixture of both water-soluble and fat-soluble compounds derived from various pollens, chiefly rye, and often marketed under the name Cernilton. Most people know of pollen extracts in conjunction with prostate health. Rye grass pollen extract is typically used to relieve the symptoms of a non-cancerous enlarged prostate (benign prostatic hyperplasia, or BPH). Some men who use rye grass pollen extracts claim their symptoms improved and that they get up fewer times at night to urinate. However there is very little research on this. While taking rye grass extract does seem to improve the symptoms of an enlarged prostate, there are mixed research findings about whether or not it actually affects the size of the prostate. It also isn’t known if rye grass pollen extract works as well as prescription drugs such as finasteride (Proscar) or alpha-blockers. Is Rye Grass Pollen Extract Safe? Researchers have not evaluated rye grass pollen extract in regards to its long-term effectiveness, safety, or its ability to prevent complications of BPH. Another thing to keep in mind is that the U.S. Food and Drug Administration (FDA) does not regulate dietary supplements in the same way that it regulates medicines. Unfortunately a dietary supplement can be sold on the market with little to no research on how well it works. Rye grass pollen extract does appear to be a safe, well-tolerated, and moderately effective botanical treatment for use in prostate disorders, with some studies following patients for as long as 12 months. However more rigorous controlled studies are needed in order to fully assess the efficacy of rye grass pollen extract in prostate disorders. Like conventional medicines, dietary supplements may cause side effects, trigger allergic reactions, or interact with prescription and nonprescription medicines or other supplements you might be taking. A side effect or interaction with another medicine or supplement may make other health conditions worse. So it’s important to consult your doctor if you are thinking about combining a dietary supplement with your conventional medical treatment.